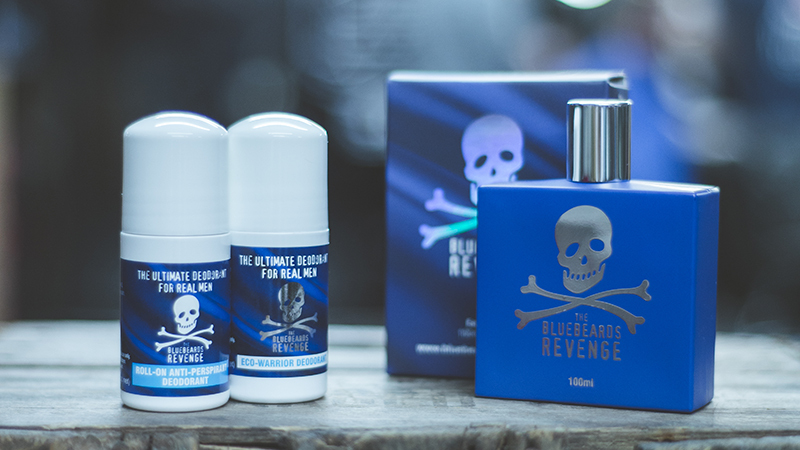 Spring clean your grooming routine with top hair and skin tips from The Bluebeards Revenge! Spring has sprung and we’re already unpacking our shorts, but the changing of the season means more than just a wardrobe switch up. Yes, there’s still a few chilly evenings between now and the scorch of summer.  Nevertheless, now is the perfect time to tweak your grooming routine. To make the transition easier, our experts have put together their top six hair and skin tips to help you settle into spring the right way. It’s not just your skin that takes a beating from the harsh cold and winds of winter; like a loyal dog your hair’s been by your side through it all too. And after months of less-than-impressive weather reports, it’s likely that you’ve collected a fair few split ends, especially if your style’s on the longer side. To fix this, get yourself booked in with your barber and freshen things up. If you’re committed to your look, just take the ends off and remove some of the winter weight. But spring’s all about new beginnings, so why not consider a completely new hairstyle? If you’re opting for a change, we’d recommend something a little shorter on the sides – this’ll help you to battle through the incoming humidity. While you’re in your barber’s chair, it’s worth asking them to spend some time massaging your scalp. A proper scalp massage with a traditional barber’s hair tonic will help to remove dead skin and excess oils, encouraging blood flow and invigorate your hair follicles. There’s no better way to get a fresh feeling for spring. 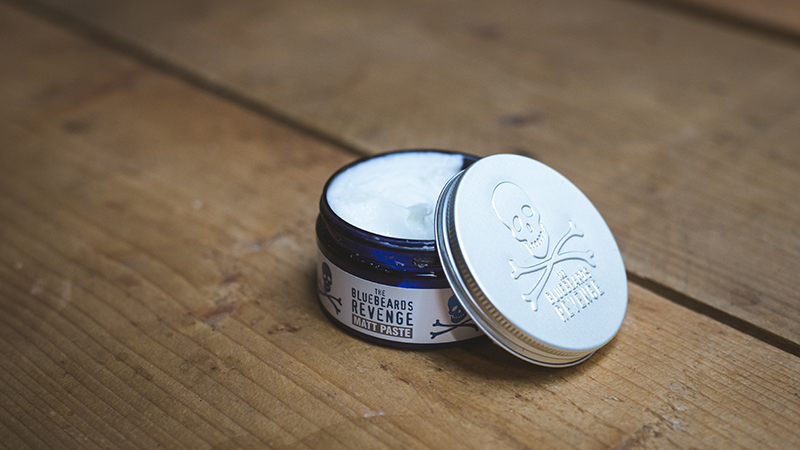 Heavy-duty pomades work wonders when it comes to gluing styles in place, but as the sunlight spills into the evenings and the temperature rises you’re better off using something lighter. 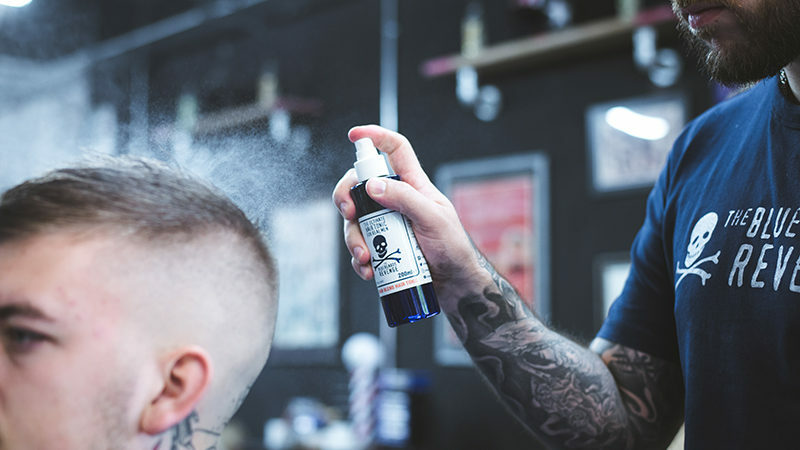 The latest phenomenon for men’s hair is sea salt spray. 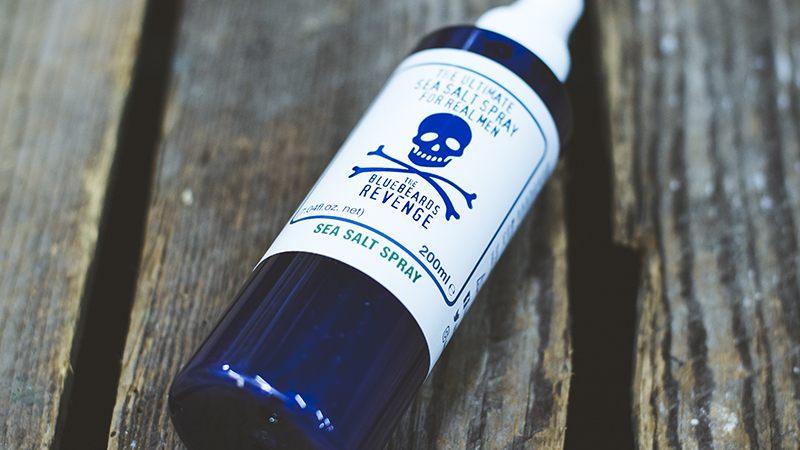 Unlike some products that weigh hair down, a sea salt spray offers a light blast of natural texture with a medium hold. These sprays work best when spritzed into damp hair and blow-dried into style with a hairdryer. Other than that, consider investing in malleable products such as clays and pastes. These gems can be remoulded throughout the day with a few simple flicks of the wrist and don’t give off a high-shine finish. We know that the dry winter air made locking moisture into your skin harder than a Rubik’s Cube (we’ve never finished one! ), but those days are now behind you. As the temperatures start to rise, the heaviness of your moisturiser should be dropping, so make sure you pick up a lighter product for the coming months. Alternatively, you should be applying your current favourite in much smaller amounts, less often. To be honest, exfoliation should be a staple part of your grooming routine no matter the season, but its importance is definitely heightened towards the end of winter/beginning of spring. Why? Because the frosty months will have inevitably battered their way to the very back of your pores, leaving dry and flaky patches of skin in their wake. Thankfully, these side-effects are easily eradicated with the use of the right exfoliator, such as our Face Scrub: Simply apply this powerful scrub in small circular motions and rinse off with warm water. Finish by patting your face dry with your softest towel. Like your wardrobe, your fragrance should change depending on the season. 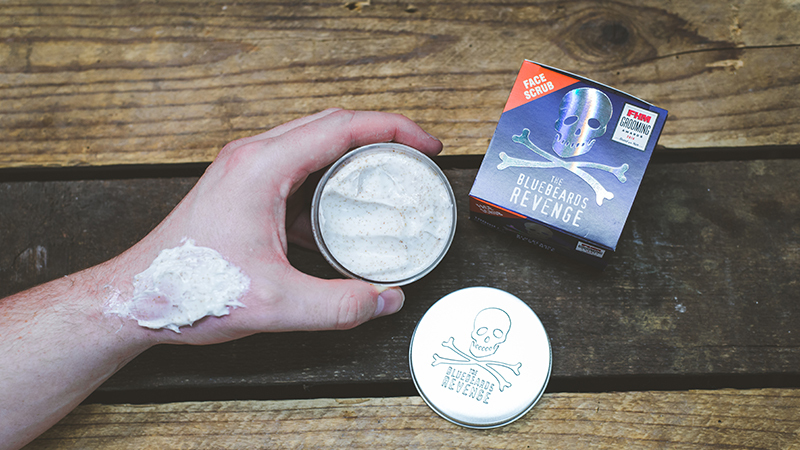 Save deeper, muskier blends for the winter and update your scent to something a little cleaner for spring. Better yet, those that see (and smell) you often should notice the change and comment on your new found smell. It should come as no great surprise that with improving temperatures come a higher chance of sweaty pit stains; the fact that you’re now wearing lighter materials to deal with the heightened humidity won’t help this either. To fight back against pesky perspiration, be sure to wash properly morning and night with a well-scented body wash and apply antiperspirant as often as required. To avoid the awkwardness of being caught out while spraying your pits, we suggest tucking a roll-on into your essentials as well. Maybe even tuck a spare into your work desk draw? Every man suffers with sweat differently, so you’ll find no judgement here.